Have to plan during water changes in the future. Here’s my crap pic. @scchase what light do you have this in? Mine seem pretty bland for color wondering if I have it to high. June! Polyps out, encrusting plug, but definitely pale compared to when I got it. No noticeable growth. It’s had a rough month with my urchins constantly stealing it. Color and about to start some small growths at the base. Scrolling through the Flickr stream, it looks like it has grown a tiny bit longer since I got it. No real noticeable growth this month, though it does seem to be preparing to do some branching in the bottom third. Meanwhile, the last grout (in the background) has developed 3 new branches. 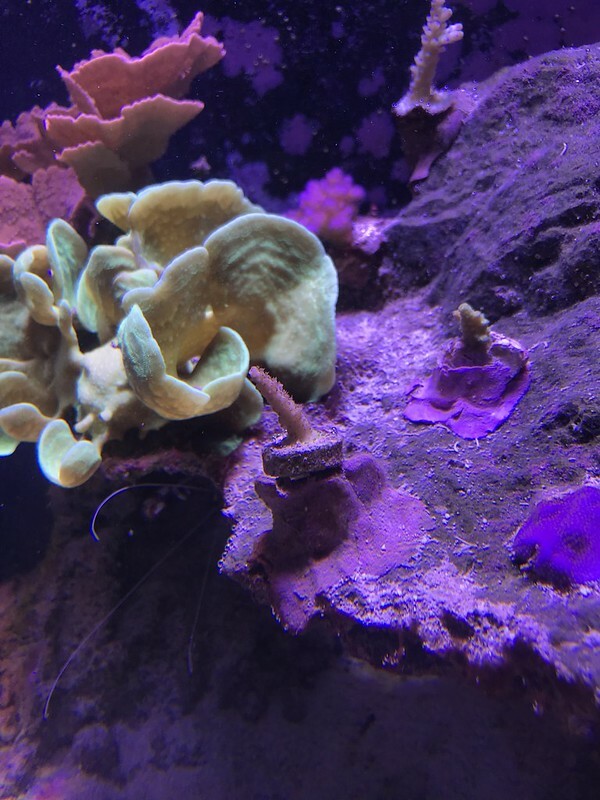 That coral grows awesome, and this one stalls out. What gives? *Meanwhile, the last "grow-out" - not grout. Thanks autocorrect. Its the tall coral with blue tips in the upper right of the picture. I can scroll through the stream and clearly see the growth of the yellow tip, the pink plating monti, the purple pocci, and the green whatever-it-is. But this PC Rainbow? No dice. I’m out. Urchin stole it again and I haven’t been able to find it in 2 weeks. Forgot to come on and update the other day. I’m out. 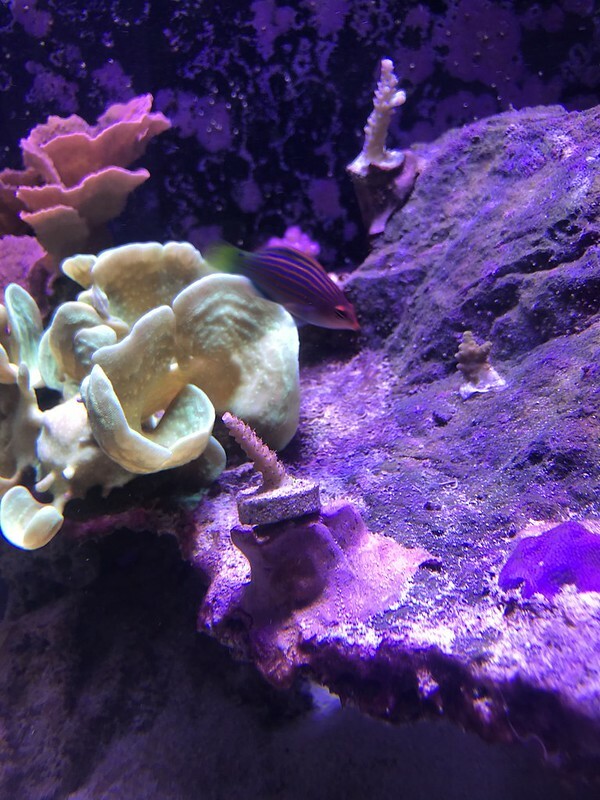 Had a wave maker go down and had to replace it - none of my acros appreciated the flow change. Lost 4 corals in the area, while the montis and pavona growing next to them continue to thrive. Nope by the time I found the plug the frag had come off and I’ve never found it. Dang okay well I’ll keep posting up. Little skin on top but doesn’t seem like it’s going to make it thru the transition from zeovit to algae reactor. Not entirely sure what to do with this one, ideas participants? Perhaps roll over prize money to next SPS growout? I feel like that would only work if all the same people were involved. I say if everyone is interested, we all pay the fee of the sps frag but don’t have to pay the extra that would go towards the payout.